7th grade student injured while playing football at Schindewolf Intermediate School. 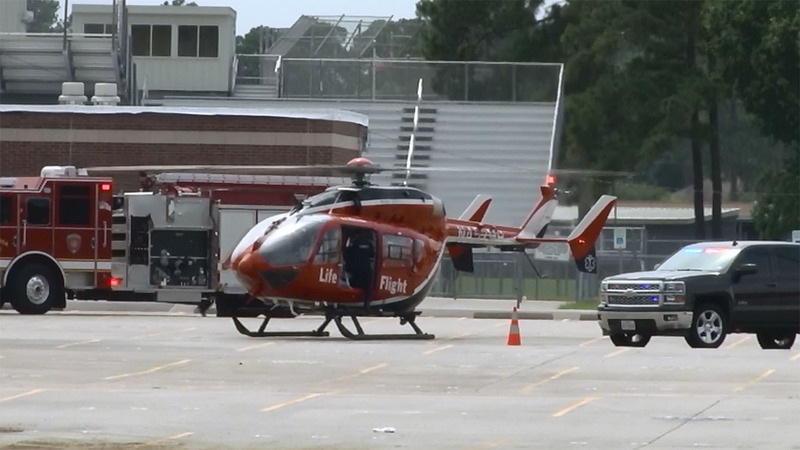 HOUSTON (KTRK) -- A Klein ISD student was airlifted to a hospital after suffering a head injury while playing football at his middle school. Cy-Creek EMS says the boy hit his head while trying to catch a football at Schindewolf Intermediate School. The school district says the seventh grader's vital signs were good and he was able to recall the accident, but the school nurse decided it was best to send the child to the hospital as a precautionary measure. Klein ISD officials say the student even waved goodbye to administrators as he was loaded into LifeFlight. "Our thoughts and prayers are with this young man for a speedy recovery," the district wrote in a prepared statement.